The Woodland Street Cruisers (WSC for short) has been around in different forms for decades. The club is comprised of folks from Woodland and the surrounding communities including as far away as Sacramento and Yuba City. We welcome enthusiasts of all types to become members. We have hot rod, classic car, custom car, rat rod, Bonneville racers, and classic motorcycle owners and enthusiasts. This collection of people and vehicles makes the club and interesting and exciting group. Since we lean towards to family friendly side (at least part of the time) it’s not unusual for spouses and other family members to participate in our activities. 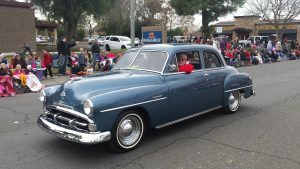 In addition to the Back to the Street car show that we hold in Downtown Woodland each spring, we participate in a wide variety of shows each year from small local shows to the Sacramento Autorama. The club also organizes a “destination cruise” to a show or other event out of the area. 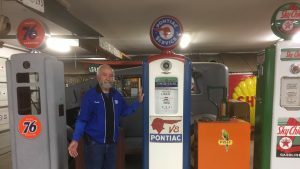 In recent years we have been to the LA Roadster Show, Grants Pass and Roseburg shows in Oregon, and Fortuna California just to name a few. 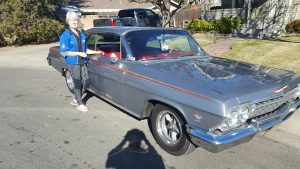 Usually in the season we will have a volunteer cruise captain organize a run in the summer just show we can get the cars out and put some miles on them. In the late seventies the club was organized as a registered charity under section 501(c) (3) of the Internal Revenue Code. The Back to the Street car show is the only fundraiser for the Club. Every year following the show the WSC donates the proceeds from the show back into the local community. The WSC supports groups such as the Woodland Care Car (meals on wheels), local food banks, Toys-for-Tots, and many other charities right here in our community – but we can’t do it all by ourselves! We would be very pleased and excited to have you join the Woodland Street Cruisers and to participate in our activities including the Back to the Street car show, club cruises, outings and events, and general car enthusiast activities like garage snooping. The Woodland Street Cruisers has no initiation fee, no dues, and is happy to have club members participate when they can. We generally meet once a month to plan upcoming events. If you would like to discuss joining us please contact either me at (530) 669-7023 or Joaquin Caunedo at (530) 908-2071. You can also send me an email at info@woodlandstreetcruisers.com or use the contact us feature and we will put you on our mailing list. I joined the Woodland Street Cruisers because I had a dream of building a hot rod. With the help of some very talented club members I was able to see that dream come true. I am interested in just about anything with a motor including planes and bikes. Having a group of friends to go on cruises or travels to shows makes owning a hot rod more enjoyable. I have always loved the Classic cars. 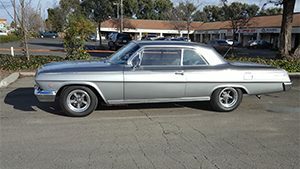 My first car was a 1962 Chevy Impala in High School. 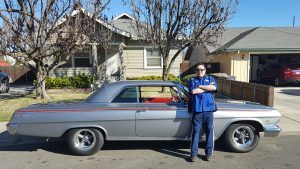 The car I have now is a 1962 Chevy Impala with a 409 Engine. I bought this car when i retired. I got involved with the Woodland Street Cruisers in 2006. The Club gets involved with the local Community and Charities which drew me to join the WSC. It is a bunch of Guys and Gals who love the Classic cars. Enjoy Cruising going to Car Shows and Road Trips. I met Larry in High School when he owned a 1962 Chevrolet. We drove that car everywhere. I enjoy going to Shows and Road Trips with the Club. The WSC have many couples which makes it nice for the women. 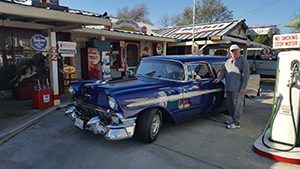 When Larry retired he wanted another 1962 Chevrolet and I told him go for it. I enjoy looking at the Older Cars and meeting the many friends we have met thru the Years. 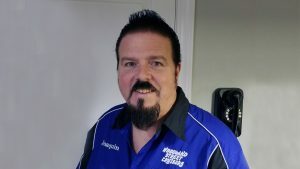 Frank Martinez is the treasurer for the Woodland Street Cruisers. 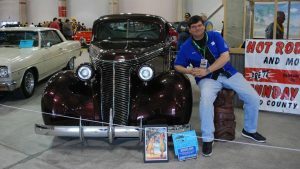 He drives a 1934 Pontiac Indian and enjoys entering the car in shows. 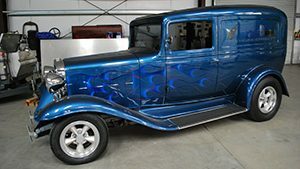 He is restoring a 1929 Ford Sedan. He also enjoys restoring gas pumps and collecting license plates. Like many of us, I can‘t point to a singular moment when I knew I was a car guy. I’ve just always loved cars (vehicles in general, really), and known that I wanted them to be a large part of my life. And since the first time I gripped a steering wheel and felt the easy power under my right foot I’ve been addicted. This is the team of dedicated volunteers who work very hard to put on this Car Show when you see them make sure to say thanks. 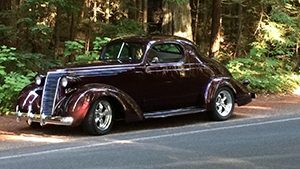 The Woodland Street Cruisers Club meets on the 2nd Wednesday of every month and hosts an annual car show every May or June. WOODLAND STREET CRUISERS – WOODLAND, CALIFORNIA Vintage hot rods and classic cars – 1978 and older.